Explanation: Christmas Day 2000 featured the final eclipse of the Second Millennium -- a partial solar eclipse visible from much of North America. Astrophotographer Phil Rau recorded the entire event on a single image as the Sun and Moon arced through winter skies above Cary, North Carolina, USA. 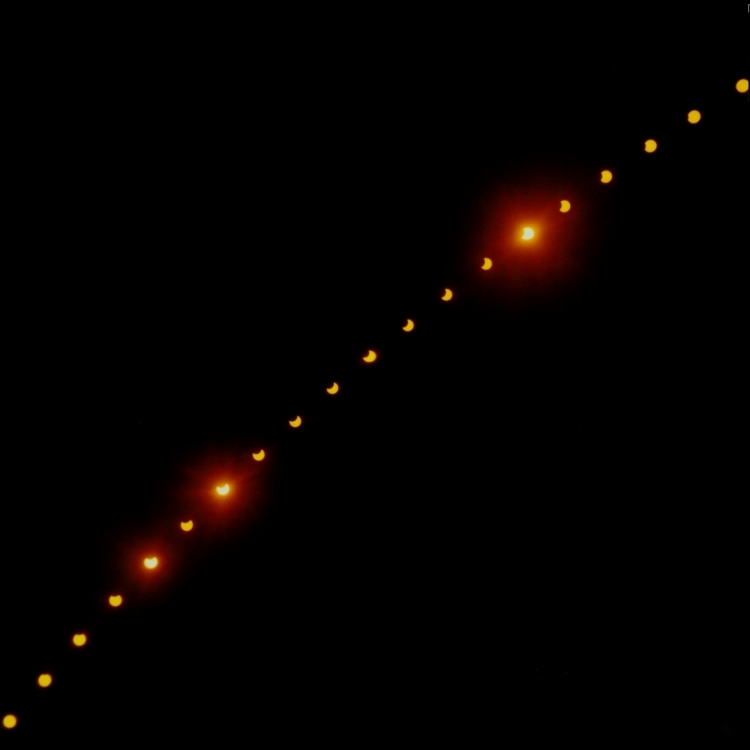 Using a well positioned, tripod mounted camera and a solar filter, Rau made a short exposure every 10 minutes from 11:00 am to 1:30 pm EST, covering the local duration of the eclipse. 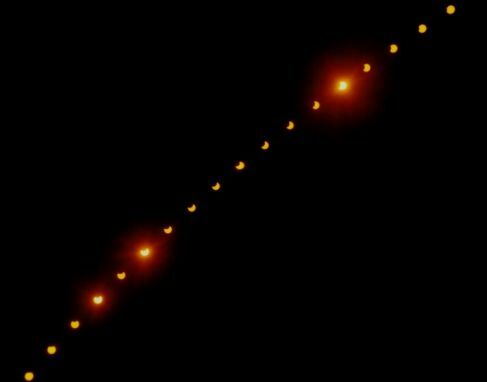 The resulting image beautifully illustrates the steady progress of the dark new Moon as it appears to take a bite out of the golden solar disk. From his location, at eclipse maximum (near picture center) just less than 50 percent of the Sun's diameter was covered by the Moon.